Make yourself at home in one of the 9 air-conditioned rooms featuring refrigerators and minibars. Complimentary wireless Internet access keeps you connected, and LED televisions are provided for your entertainment. Private bathrooms with showers feature complimentary toiletries and hair dryers. Conveniences include irons/ironing boards, housekeeping is provided daily, and rollaway/extra beds (surcharge) can be requested. 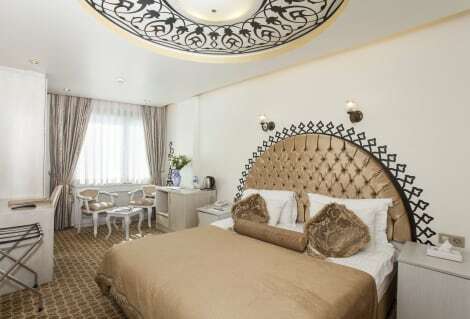 The 4-star Antea Palace Hotel is only a short stroll from the Grand Bazaar, Blue Mosque and Hagia Sophia Museum. The hotel has an indoor swimming pool, sauna, Vitamin Bar, massage facilities and traditional Turkish Bath for some serious relaxation. 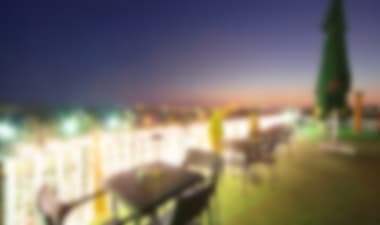 While the terrace restaurant serving classic cuisine and has views across Marmara Bay. Elegant rooms come with air-conditioning, LCD TVs, en-suite bathrooms with bathrobes, and 24-hour room service. A peaceful refuge in the Kadirga district, yet a short walk from the Blue Mosque, the city museums, restaurants and cafes, the 4-star Ottoman Hotel Park is perfect for a memorable trip to Istanbul. At home in its historical setting, the hotel blends authentic touches with modern glamour. Soak up the atmosphere from the terrace bar, enjoy views of the Marmara Sea or relax in sumptuous rooms with free wi-fi, LCD TVs and air conditioning. This charming hotel is magnificently positioned in the historical district of the magical and beautiful city of Istanbul. Those staying at this accommodation will be able to discover a vast variety of inspiring and world-renowned sightseeing attractions that include the Blue Mosque, Hagia Sophia, Topkapı Palace or the Grand Bazaar for those eager to haggle. Those who want to discover the city on foot will be able to do it, as the most important tourist attractions are easily reachable from the property. Guest rooms are appointed in a charming style and offer all the necessary amenities for a comfortable and relaxing stay. They are luminous and spacious and boast a cosy atmosphere that will make guests feel completely at ease. Those who travel by car may wish to use the on-site parking facilities and every morning guests will be invited to taste a delicious breakfast at the hotel’s breakfast room. Grab a bite at albatros, one of the hotel's 2 restaurants, or stay in and take advantage of the 24-hour room service. Snacks are also available at the coffee shop/café. Quench your thirst with your favorite drink at the bar/lounge. A complimentary hot/cold buffet breakfast is served daily from 7:30 AM to 10:30 AM.